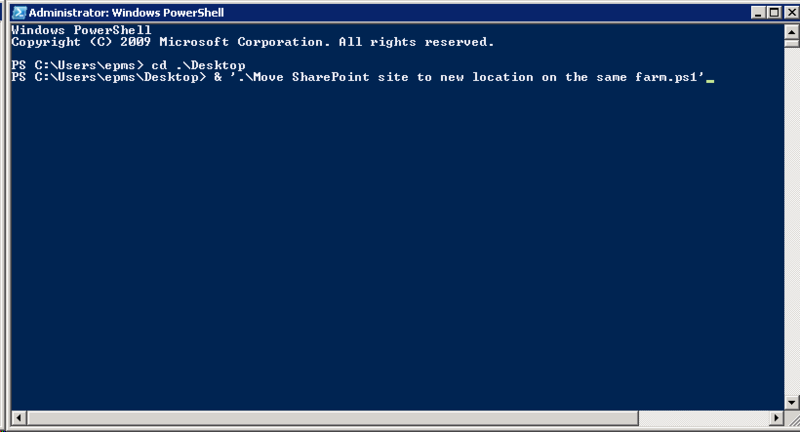 Recently a query came up on the Project Server forums asking how to move a SharePoint site from the PWA site collection to another site collection. Please note this was not a Project Site. 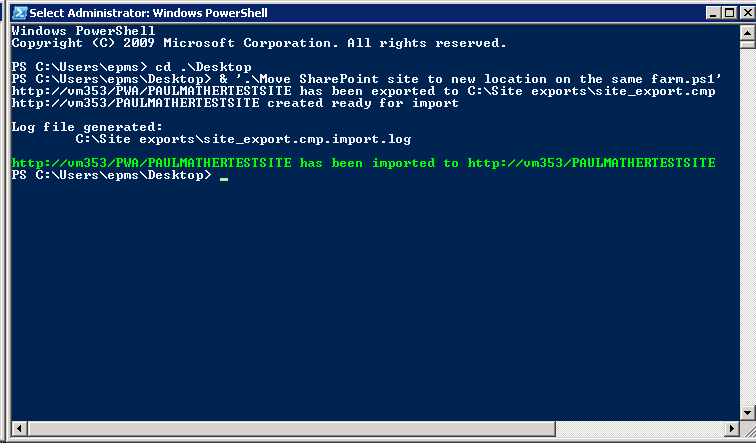 For this question I created a simple PowerShell script that will export the site and import it into the specified location. Even though this example is for a site in the PWA site collection, it will work for a site in any SharePoint 2010 site collection providing the same site templates, features etc. are available. Below is a walkthrough on using and executing the script. Worthing noting is that you need to use the Configuration property as the template ID rather than the WebTemplateID property as the WebTemplateID will always contain the original ID for the first template Microsoft created. For example a Team Site template ID is STS#0, but the WebTemplateID property for a Team Site will contain a 1, the Configuration property will contain the correct ID, in this case a 0. The final part of the script is does the export and import, the comments above each line advise what that part of the script is doing. Write-host "$exportsite has been exported to $exportlocation"
$null = New-SPWeb $importlocation -Template "$webTemplate"
Write-host "$importlocation created ready for import"
Write-host "$exportsite has been imported to $importlocation" -foregroundcolor "Green"
A copy of the site should now exist in the new location. As always, this script is provided as is with no warranties etc. use at your own risk and test on a test environment before using on a production environment. I recently came across an issue with a document library URL on the project sites after the client rolled over the Production environment to the Test farm. When the Project site template was created, a link to a central document library on another site collection was added to the quick launch. The absolute URL was used rather than the relative URL, subsequently all project sites created from that template have the full URL. This obviously works fine for the Production environment but when the project sites are migrated to the Test environment with the environment rollover, the links for this document library point to the Production environment. Rather than going to each project site and updating the URL manually to the relative URL or asking one of our developers to create a console app to do this, I thought I’d try with PowerShell. Whilst the example above is showing document library links, this script will update any quick launch links providing the correct heading and absolute URL variables are set. The script will also work for non PWA site collections.